It’s easy to go back and forth, sometimes within the same quarter, on the question of whether it’s fun to watch James Harden play basketball. The flailing foul-drawing behind the arc is a drag, although ethically mitigated by the self-sacrifice shown in the legitimate foul-drawing at the rim, accelerating fearlessly into a pack of mean arms and torsos. 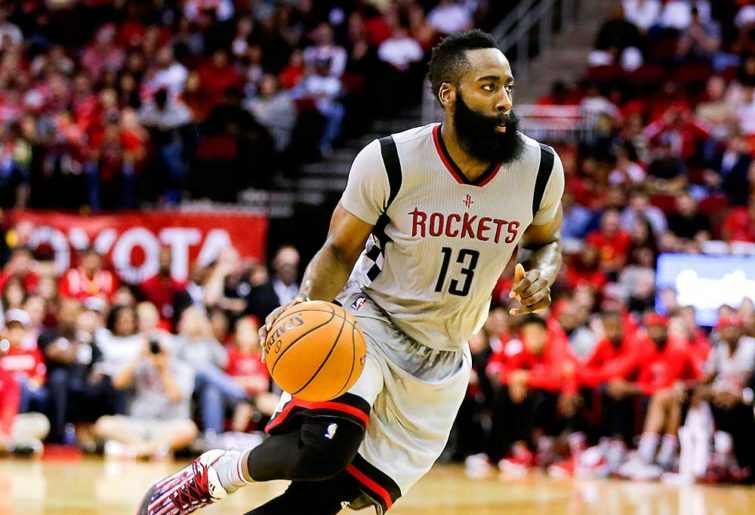 The passing, more than the dancing, is the reason to savour Harden. His passing genius rivals LeBron James, a chessmaster who can unlock every angle and leverage every movement to his advantage. Harden blasts lasers to the corners, delicately slides bounce passes to the roll man, and lofts exquisitely timed and placed teardrops as alley-oops. The MVP started this season like his team: hungover. Harden still got his numbers, because that is what he does, but they felt empty and sluggish. At 4-7, Harden wasn’t the problem, but he was vaguely a part of it. Since then, he’s been the most explosive offensive force in the league, averaging a 33-9-6 on impossible efficiency. He’s playing with real, aggressive life again, the dimes flowing and the foul-drawing relentless. As a result, the Rockets are the closest they’ve been all season to finally figuring things out. This is a list of some of the second top scorers on the teams that the Warriors might face in the Western Conference playoffs: Kyle Kuzma, Danilo Gallinari, Jamal Murray, 33-year old Marc Gasol and 19-year old Luka Doncic. All those players’ teams would be in the playoffs if the season ended today. None of them will pose Golden State a threat. Nor, it seems, will any other team in the conference. The Nuggets are the best-performed team in the West so far, but they’re too young and inexperienced to frighten the Warriors in the playoffs. Try and visualise who dribbles the ball on the perimeter for the Nuggets in a pivotal playoff game in Oracle Arena: Jamal Murray? Gary Harris? Will Barton? It won’t work. For a hot second, Oklahoma City looked like they might ensconce themselves as the clear challenger, separated from the pack. But this week reiterated all the things that make the Thunder deficient. Maniacal, ill-fated decision-making doomed them in the clutch against the Pelicans, then outside of Paul George’s slithering excellence and Steven Adams’s in-close brutality, no one could generate efficient offence against a skeleton crew Nuggets team. 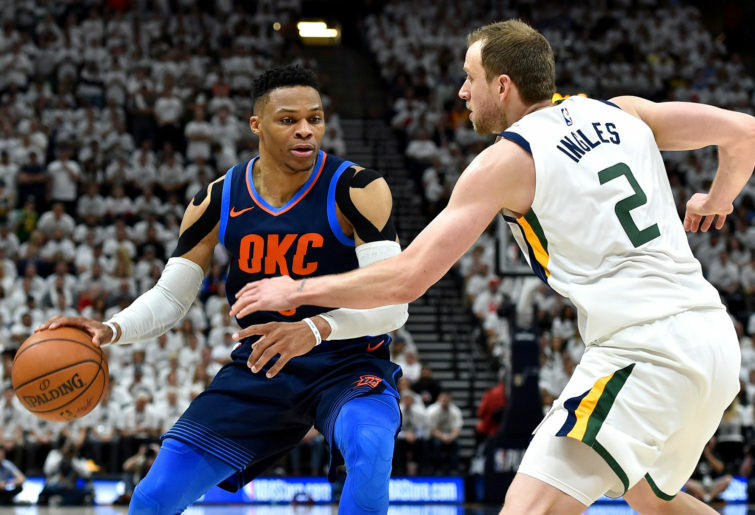 In the playoffs, as good as their lengthy, smothering defence is, it’s just too hard to envision OKC scoring enough to keep up with Golden State. The Lakers can’t contend unless they make a significant move, probably two. 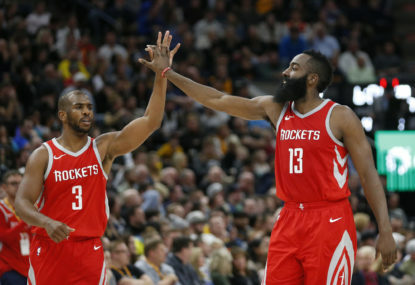 The Rockets seem destined to wallow in lament over all those missed threes in Game 7 last May and Chris Paul’s gimpy hamstring, although they remain – the 14-14 Rockets, reliant on Gerald Green and Danuel House Jr – the pick here as the only team with the upside to make the Warriors even consider perspiring in the playoffs. At a fleeting glance, the Pacers seem admirable but harmless, a tough, hard-working team to be patted on the back and then forgotten. It’s too hard to take a team that starts Darren Collison, Bojan Bogdanovic and Thaddeus Young seriously in the big picture sweepstakes. Amid the superstar power of Philadelphia, Boston, Toronto and Milwaukee, it’s easy to brush the Pacers aside in briefly thought out calculations and end-of-season theoreticals. Indiana are forcing a re-evaluation. They’re 20-10, on a seven-game winning streak, with the sixth best net rating in basketball. 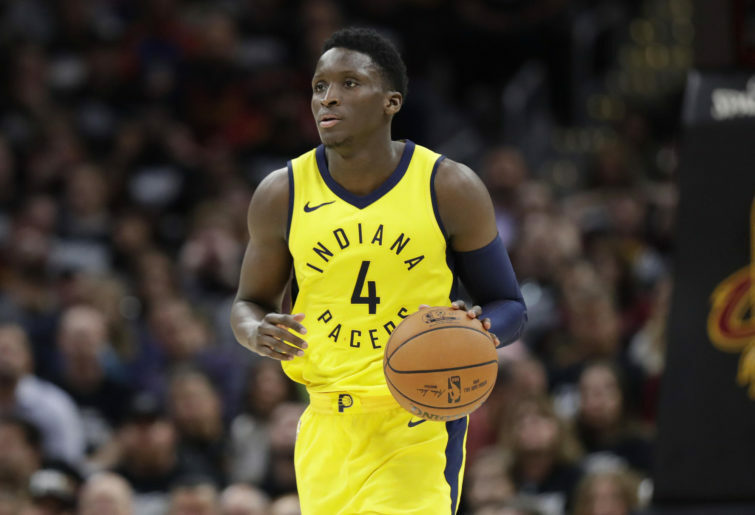 Victor Oladipo getting hurt didn’t stop them, the Pacers going 8-4 in his absence. Myles Turner is the best he’s ever been, the uninspiring triumvirate of Collison, Bogdanovic and Young is playing inspiring basketball, and Domantas Sabonis is a sixth man of the year candidate. The defence is stifling and there’s offensive upside to come as Oladipo rounds back into health and Tyreke Evans becomes more integrated. The Pacers have beaten up on an easy schedule but they also have wins over Milwaukee, Philadelphia, Utah (twice) and Boston. They go ten-deep in solid rotation players while the Sixers can only scrape half of that depth. Philadelphia’s ceiling is significantly higher, but for now, as they figure out who they are and the Pacers prosper mainly by virtue of knowing exactly who they are, Indiana are the fourth best team in the East. The Brooklyn Nets haven’t ever been meaningfully good and they haven’t even been inconsequentially good for five years. Instead, they’ve had to settle for being catastrophically bad. At least they were for the first two years of their inglorious rebuild, also known as the Sean Kilpatrick and Trevor Booker years. Last year, the Nets crept towards competence and this year they’ve embraced it with open arms. Yes, they’re only 13-18, but they have the point differential of a 15-16 team (hurrah! ), and more than anything, they’ve played with an energy and fervour that would ignite joy in Nets fans, if there were any. Suddenly, there are plenty of reasons to watch the Nets: the slinky movement, passing and scoring of Spencer Dinwiddie, the pogo stick attributes of Jarrett Allen, the odd complexities and quiet drama of D’Angelo Russell, and the feel-good veteran vibes of Jared Dudley and DeMarre Carroll. Caris LeVert getting hurt was a downer, but he’ll be back, still a part of the Nets future, a future that doesn’t seem so desolate anymore.